Check This Out: Date Night at the Library! Looking for something fun to do with your significant other, your best friend, or even just want a nice night out on your own? 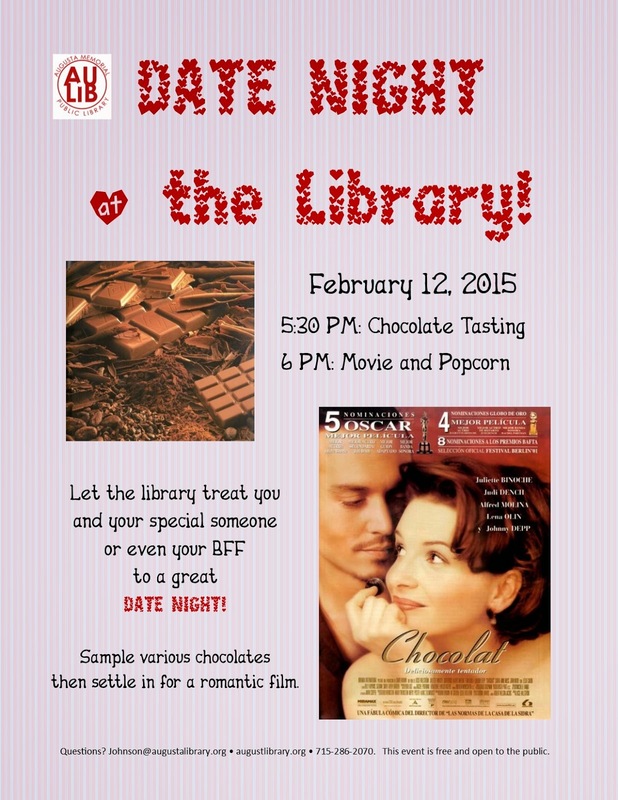 Stop into the library, February 12th for Date Night! Starting at 5:30 PM, we'll have a Chocolate Tasting including some traditional favorites as well as the unusual. Then, at 6:00 we'll be showing a chocolate-lover's delight film, staring Johnny Depp, Juliette Binoche, and Judi Dench.